Home is where our traditional notion of safety and place making are formed; consequently, the home is also the place where we are most vulnerable. Violating the boundary of home is an easy target in filmmaking. The kitchen in particular is often an ultra sinister location. Kitchens are cramped, claustrophobic, abundant with knifes (think “Chucky“), blenders (think “You’re Next“) and boiling water (think “Fatal Attraction“). The humble sink even had its own sub-genre, the kitchen-sink drama. Its not just the kitchen, though; similar anxiety and fear can be created in any room: horror loves the home! There are bathrooms for drowning (think “Les Diaboliques“) or electrocution (think “Far From Home“), basements for burials (think “Psycho“), stairs for falling (think “Poltergeist“) and the bedroom for tormenting (think “Looking for Mr. Goodbar“). Some homes even contain the aptly named panic room. In their own terms, film and architecture are mutually inspirational, and filmmakers often look towards architecture for what it offers. For example, the modern home is commonly depicted by filmmakers as sterile and inhospitable — the perfect setting for all sorts of villains and scoundrels. 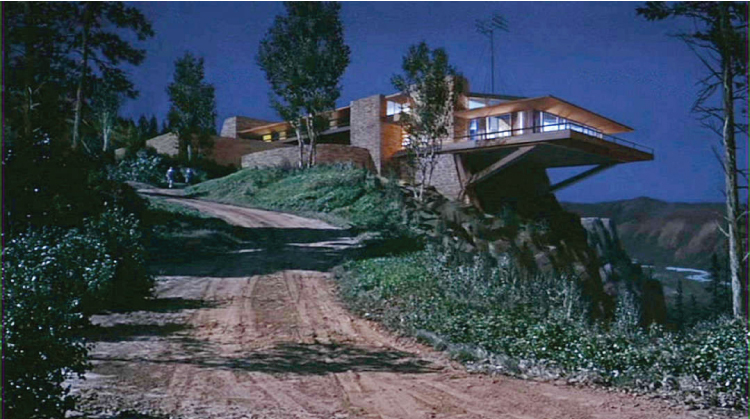 Even Bond films continue said traditions, featuring extravagant, modern bachelor pads for the villains (think John Lautner’s Elrod house in “Diamonds are Forever“). The Architecture of Villains is an entire book dedicated to the analysis of the Micro Empires within the James Bond Movie Series. 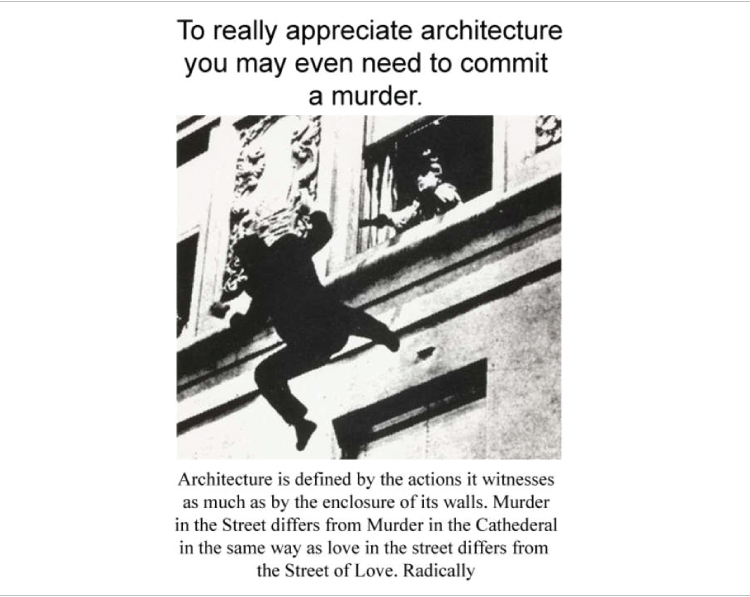 Just like humans, we can also think of architecture as being vulnerable, capable of decay and defacement. The sense of intrigue and mystery that montage provides in architecture is also evident in good horror films — consider “Sound and Vision,” a short film by Francis Matthews. The work won the 2014 Cinecity Competition, an event that forbids editing, described as the Tropfest for architects. Cinecity 2014_Sound and Vision_Francis Matthews from Francis Matthews on Vimeo. Rather than editing, Matthews relied solely on the film’s architecture to create tension, anxiety, and fear. 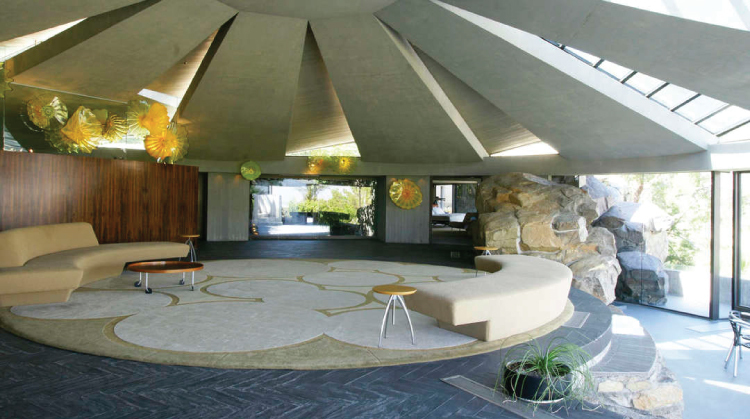 “Sound and Vision” is located within a modern glass house (think no further than the architecture of Philip Johnson). Spaces are segregated with architecture framing devices including walls, doors, and windows. Explains Matthew, “The whole movie is about the confusion created by glass reflections, something we all have encountered from time to time … a theme masterfully explored by Jacques Tati in ‘Playtime.’” In the film, a person enters the frame and then disappears; although the person almost never actually leaves the frame, the audience becomes disoriented. In effect, the film confuses reality and reflection. Aside from creating fear, the “Sound and Vision” is a great lesson on how we orient ourselves both in built and cinematic interiors. The film was selected as the Cinecity Competition winner by a prestigious panel including film and architecture greats like Zaha Hadid. The Cinecity Competition is so intertwined with architecture that the 2015 competition specifically seeks to explore the meaning of “home.” Co-curator Louise Mackenzie will even use the competition to explore housing design in Melbourne and to ascertain a better understanding of how people respond to their built interior.